Stylish bag makes it easier to carry personal items while using crutches. The deep pocket provides plenty of room to hold a cell phone, keys, wallet, etc. 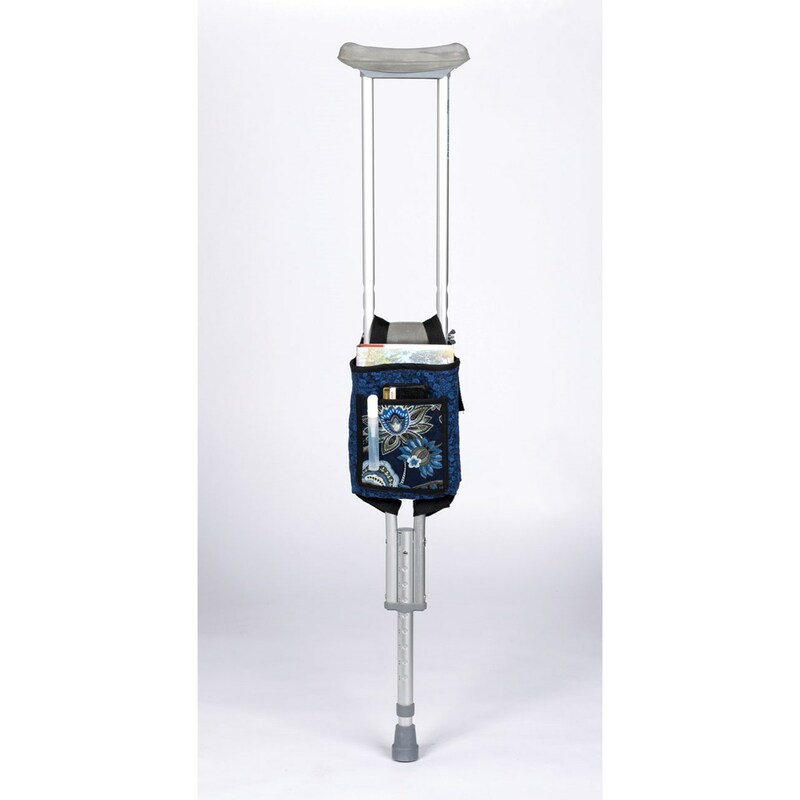 Attaches to the side of the crutch and does not interfere with any movement. Machine wash, air dry. Measures (l x w x h) 8-1/2 x 8 x 2" (21.6 x 20.3 x 5.1 cm). Cotton, Quilted Print, Blue.